Have you ever been shopping, and seen what looks like a wonderful new hair conditioner, bubbly baby soap or shiny new lip gloss that you’d like to try, but you wonder if said product is safe, non-toxic and healthy for the planet? Now instead of having to wait until you get home to check the Skin Deep website every time you need to buy a personal care product you’re not familiar with, you can download their mobile app and get information on the fly. Very few companies list their Skin Deep qualifications right on their packaging, tons of bath and beauty products are outrageously mislabeled, and many more are hands down unsafe. If you’re actually at the store, trying to make a smart shopping decision can be tough. The brand new Skin Deep app for smartphones is a game changer of the best kind and you can get it today to make all your personal care shopping expeditions way easier. 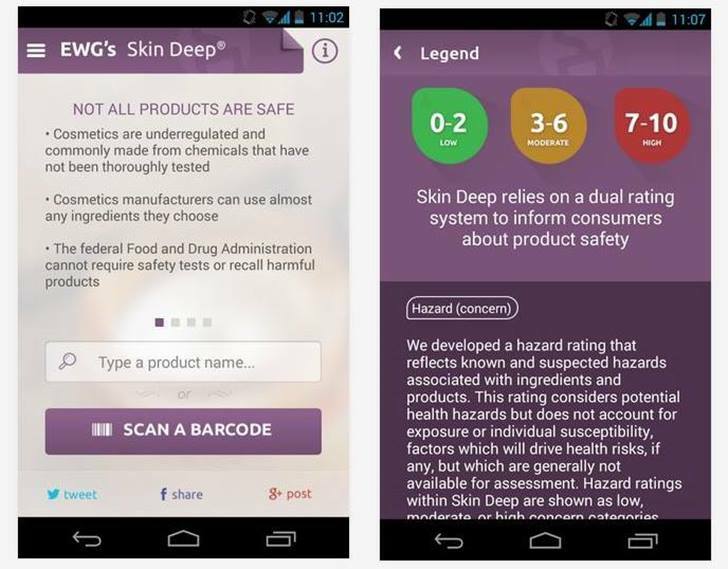 The new Skin Deep mobile app is linked to the wildly popular Skin Deep Cosmetics Database, a project of the Environmental Working Group (EWG). While Skin Deep is far from perfect due to some oddball company reporting and some lack of product info, it is one of the best and sadly, only resources we have for making better shopping choices when it comes to personal-care and beauty products. 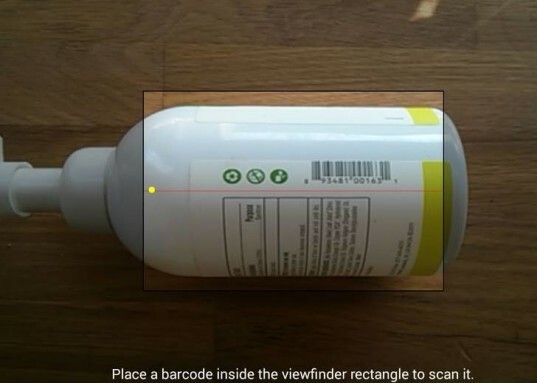 The app includes product descriptions and online safety assessments for more than 72,000 personal care products, 2,500 brands and 9,000 ingredients including shampoo, toothpaste, soap, deodorant, lip balm, sunscreen, body lotion, shaving products, makeup, sunscreen, diaper cream, shampoo, lotion and more. The app gives you all the best personal care information available right at your fingertips so even if you’re at the store, you can make smart, eco-friendly and safer shopping choices in an instant. Have you ever been shopping, and seen what looks like a wonderful new hair conditioner, bubbly baby soap or shiny new lip gloss that you'd like to try, but you wonder if said product is safe, non-toxic and healthy for the planet? Now instead of having to wait until you get home to check the Skin Deep website every time you need to buy a personal care product you're not familiar with, you can download their mobile app and get information on the fly. Very few companies list their Skin Deep qualifications right on their packaging, tons of bath and beauty products are outrageously mislabeled, and many more are hands down unsafe. If you're actually at the store, trying to make a smart shopping decision can be tough. The brand new Skin Deep app for smartphones is a game changer of the best kind and you can get it today to make all your personal care shopping expeditions way easier.